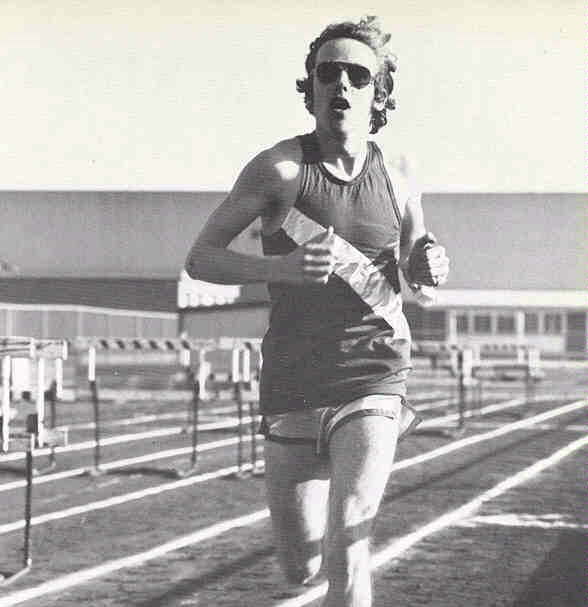 TOP LEFT: Bob Berumen approaches the finish line for first place in the 880. 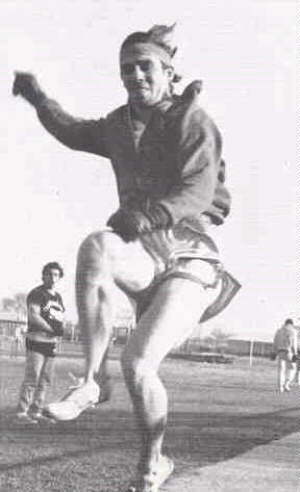 TOP RIGHT: Bill Albrecht reaches for extra distance in the long jump. 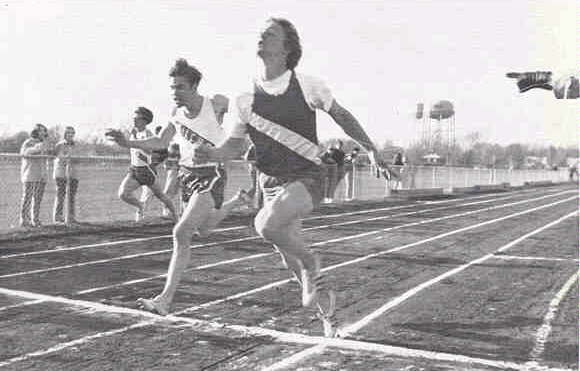 CENTER LEFT: Keith Boardway, school record holder for the 2 mile run, poiurs it on to win unchallenged. 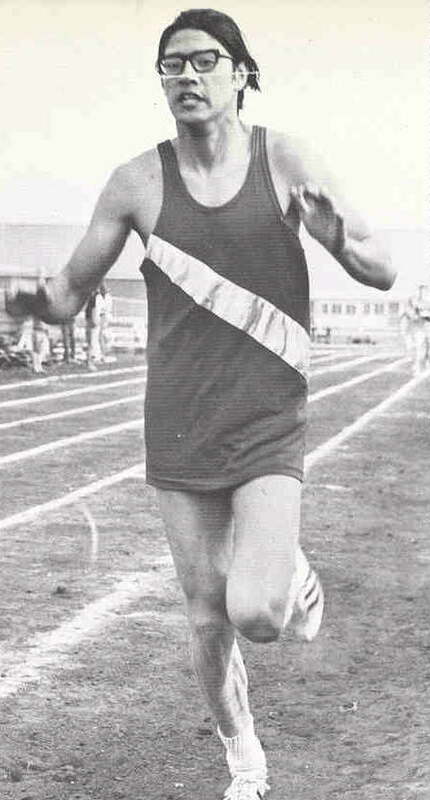 CENTER RIGHT: Mike Skrbina crosses the finish line ahead of the opposition to win the 100 yard dash. 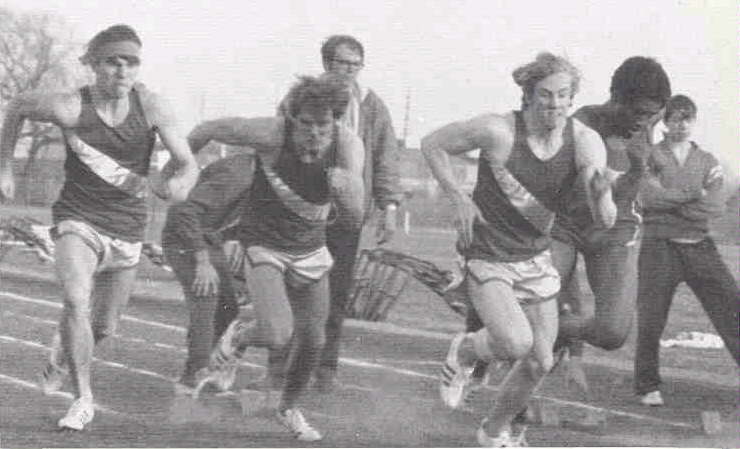 BOTTOM LEFT: John Padgen (left), Ron Snyder, and Bill Hohman fire out for the 440.